By now you know that I’m a skincare fanatic and my glowing skin is not due to lack of effort. I’m obsessed with trying out new skincare products and techniques. 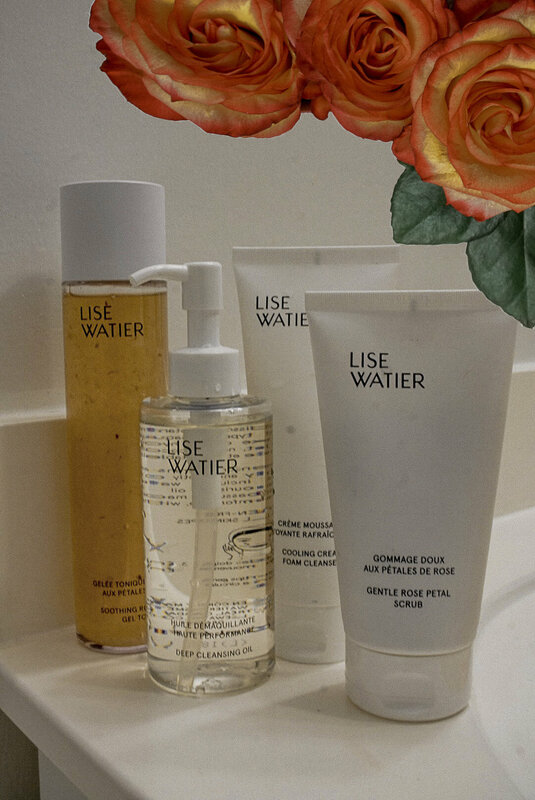 Recently, I've been using a new technique called Double Cleansing as part of Lise Watier's new The Cleansers Collection. This collection offers four fresh and innovative cleansers each concentrated with natural ingredients. Developed in collaboration with a renowned skincare laboratory in Korea, the collection combines the power of nature with the latest K Beauty and skincare trends to provide comfort, balance and harmony to the skin. Step 1: Using an oil-based cleanser, in this case, Lise Watier's Deep Cleansing Oil, I wash my face to remove makeup and draw out oil-based impurities in my skin such as SPF, sebum and pollutants you encounter every day. I really like how the Deep Cleansing Oil transforms into a milky-consistency when it contacts water and preps my skin for the next step. 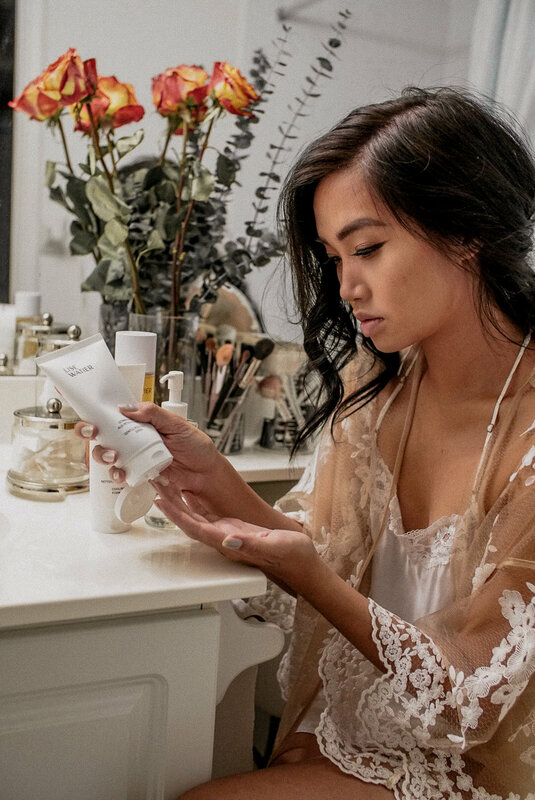 Step 2: After removing my makeup, I use the Cooling Cream Foam Cleanser to lather and get deep into my pores to target debris such as sweat and dirt. The cleanser is enriched with natural cleansing ingredients like oat and artichoke, leaving my skin purified, soothed and hydrated. Step 1 and Step 2 are part of my daily Double Cleansing ritual as it helps to deep clean my skin by not only removing my makeup but penetrating my pores to ensure all impurities and dirt accumulated throughout the day are gone before I move on to Step 3 and 4. 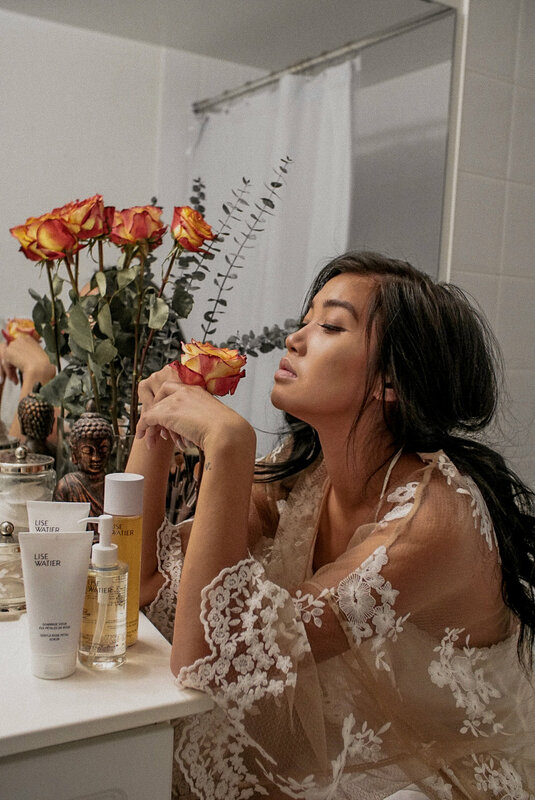 Step 3: Next, I use the Gentle Rose Petal Scrub that not only smells divine thanks to the rose petals, but also features sugar crystals that help remove dead skin cells instantly leaving my skin fresher and more radiant. Step 4: Finally, I finish off with the Soothing Rose Petal Gel Toner on a cotton pad and gently apply it all over my face. Unlike traditional toners, this is a gel-textured toner that is infused with rose petals, bringing radiance and vitality to my skin. After this 4-step process, I proceed with my usual moisturizers and I'm ready for bed! I have combination skin that is very resilient, allowing me to reap the benefits of a Double Cleanse. If you have dry skin, the oil cleanser may be sufficient to maintain your skins oil levels and keep your complexion balanced! The Cleansers Collection has left my skin glowing and bright after only 2 weeks of use. I don't think I can ever go back to using one cleanser now! Use my REESE to qualify for free shipping on LiseWatier.com.